Exhilarating 1-week Chamber Music Boot Camp. Take a piece to performance-ready in one week! Action-packed 2-week Chamber Music Day Camps. Choose one or attend both! Tuition assistance is available for all students with need. Financial aid applications must be submitted with registration. For those not applying for financial aid, full payment is due with registration. Students participate in daily chamber ensemble coachings and rehearsals where they learn the nuances of playing in a chamber group - listening, articulating, collaborating. Music theory concepts are presented to Session 1 and 2 students in interactive small groups where they learn as teams preparing for CMC's exciting Theory Challenge game! Students participate in engaging Master Classes given by faculty and Guest Artists. Amici students also participate in sight reading and improvisation workshops. 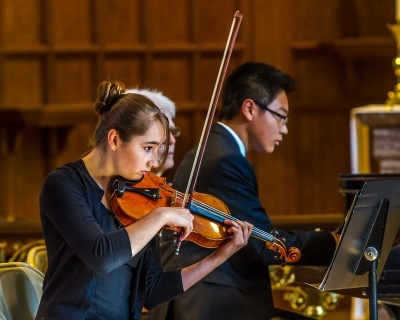 Programs conclude with an evening reception and Concert where student ensembles perform. Students may also participate in a solo recital. Sessions 1 and 2 also have a mid-day concert during the 2nd weeks. Everyone becomes part of the CMC summer ensemble community through fun games and activities. Badminton and ping-pong tournaments are also held for enthusiasts. Bagels are provided daily for a mid-morning snack, and Pizza is brought in every Friday for students and coaches to celebrate the week's accomplishments. 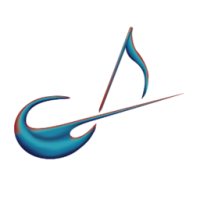 Chamber Music Central, Inc. admits students of any race, color, national and ethnic origin to all rights, privileges, programs, and activities made available to students at the school. It does not discriminate based on race, color, national and ethnic origin in administration of its educational and admissions policies or scholarship programs.